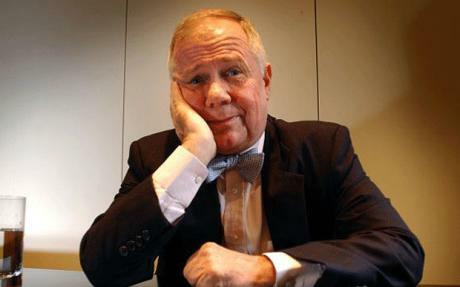 The Dow and S&P 500 may have hit their highest levels since 2008 on Tuesday, but Jim Rogers , CEO and Chairman of Rogers Holdings, is still staying away from stocks. Instead, he told “The Kudlow Report” he’s playing the rally with commodities. Rogers says things are “fine” right now because it’s an election year, not only in the U.S. but around the world, and that means governments are spending and printing money. It’s the future he’s concerned about. If President Obama wins the election, everybody’s going to say “Oh My God,” he said. If Obama loses, everyone is going to have to cut back because the president has “gone to excess” to try to win the election. Right now, Rogers thinks it looks like Obama is going to win. ** Mr. Benson, Sign Drew Brees NOW!! Daily Reckoning: Yen Weakens to 80! Well, I told you all that to set up… “Pfennig readers, China’s doing it again.” China announced last night that they had signed a new member to their club of countries that have currency swap agreements to remove dollars from the terms of trade. This time, China signed an agreement with Turkey. Yes, China is being coy with these smaller — in terms of world trade — countries, but that’s how they are going to spread their wings, and gain a wider distribution of their currency. And again, I sit here and tell you, dear reader, that China has plans to remove the dollar as the reserve currency of the world. OK, I’ve got to go on, because this is really depressing me this morning! This morning, the euro was dealt a bit of a blow by a worse-than-expected manufacturing index report for this month… remember, these manufacturing index reports are called “PMI.” So the eurozone PMI came in at less than 50, at 49.7. In addition, remember that any number below 50 represents contraction of the manufacturing sector. I find this report to be interesting, given that there appears to be a strong economy in Germany. But even with Germany representing the largest economy of the eurozone, there are many more countries in the eurozone that are not experiencing economic strength. So as I said yesterday, we saw this same type of trading after a RBA rumor about three months ago, and it took the A$ a few days to get its wind back. I think it may get its wind back when the markets get a drift of the latest Wage Cost Index for the fourth quarter, which printed stronger than expected! As I look at the currency screens this morning, most of the currencies are moving in the wrong direction, but not by much, just an underlying bias to buy dollars this morning. And gold, which had a very strong performance yesterday, is off about $5 this morning, as it appears some profit taking has taken over. The price of oil didn’t take a step back, though. The oil price is up another $1, to $105, and knocking on the door to $106… I stopped to fill up my gas tank this morning… and much as the way groceries, restaurants and so on are doing… I got less and paid the same… This way, most of us don’t really feel the inflation all around us, but it’s there… trust me. No wage inflation or home inflation, but everything else that touches our lives… and as long as everything else around us is going up in price or going down in the quantity at the same price (it’s the same thing), it would be OK to see some wage inflation, eh? One European currency, the krone, (NOK) that’s bucking the trend of following the euro today, and in my opinion, it’s about darn time! The Norwegian krone is rallying nicely this morning. You might recall me bemoaning the fact that the krone was following the euro, even though Norway had sterling fundamentals and should be held to a different standard. Well, maybe that’s happening, finally! The krone is the best-performing major currency this month! After cutting rates in December, the Norwegian central bank, the Norges Bank, might just be sitting on its hands going forward, as speculation of another rate cut fades… All this fading speculation is really pushing the krone… I wonder how long this will last? Does it have legs? Is it on terra firma? I guess we’ll have to wait and see, but in my opinion, it should be OK! Of course, just because I say that, I need to make sure you understand that it’s just my opinion, and I could be wrong! I saw a cartoon on Ed Steer’s excellent morning Gold & Silver Daily this morning… It shows the president holding a dollar bill that’s on fire, and he says, “Look, Green Energy!” If it weren’t so true, it might be funny, eh? I tell you this not as a “hey, they’re better than us” type of thing. This article caught my eye, because we’re going to hear over and over again during the election campaign that we are “becoming Europe” because of the debt. But if that were true, then we as a country would be cutting deficit spending, and implementing austerity measures… watch out for that! Panic is in the air as gasoline prices move above $4.00 per gallon. Politicians and pundits are rounding up the usual suspects, looking for someone or something to blame for this latest outrage to middle class family budgets. In a rare display of bipartisanship, President Obama and Speaker of the House John Boehner are both wringing their hands over the prospect of seeing their newly extended Social Security tax cut gobbled up by rising gasoline costs. In terms of judging whether the price of WTI is high or low, here is the price that truly matters: 0.0602 ounces of gold per barrel (which can be written as Au0.0602/bbl). What this number means is that, right now, a barrel of WTI has the same market value as 0.0602 ounces of gold. During the 493 months since January 1, 1971, the price of WTI has averaged Au0.0732/bbl. It has been higher than that during 225 of those months and lower than that during 268 of those months. Plotted as a graph, the line representing the price of a barrel of oil in terms of gold has crossed the horizontal line representing the long-term average price (Au0.0732/bbl) 29 times. At Au0.0602/bbl, today’s WTI price is only 82% of its average over the past 41+ years. Assuming that gold prices remained at today’s $1,759.30/oz, WTI prices would have to rise by about 22%, to $128.86/bbl, in order to reach their long-term average in terms of gold. As mentioned earlier, such an increase would drive up retail gasoline prices by somewhere between $0.65 and $0.75 per gallon. At this point, we can be certain that, unless gold prices come down, gasoline prices are going to go up—by a lot. And, because the dollar is currently a floating, undefined, fiat currency, there is no inherent limit to how far the price of gold in dollars can rise, and therefore no ultimate ceiling on gasoline prices. Federal Reserve Chairman Ben Bernanke uses a “core CPI index” that excludes food and energy to guide monetary policy. From Big Ben’s point of view, rising gasoline prices are not a problem. For the rest of us, they are becoming a big problem. Over the centuries, gold has been “the golden constant”. Eventually, all prices equilibrate with gold. This is why gold represents the best available standard in terms of which to define the value of a monetary unit. Forty-one years ago, when the value of the dollar was defined in terms of gold at $35/oz, WTI was selling for $3.56/bbl. Right now, the threat posed by rising gasoline prices is not just to family budgets. An even greater danger is that the government will use escalating oil prices as an excuse to do something stupid. After President Nixon abrogated the Bretton Woods monetary arrangement in stages starting in September 1971, both gold prices and oil prices started to rise. The government responded by imposing wage-price controls. This made a bad situation much worse. China’s appetite for Gold mirrors the old adage on Chinese take-out: No matter how full you may be now, wait two hours you will be hungry again. A little over a decade ago the Chinese government deregulated the purchase of gold. Since then China, the largest producer of gold, has grown to become a deficit consumer. 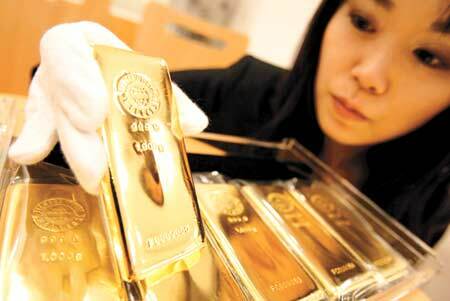 The Hong Kong exchange alone demands more gold than the 321 tons produced last year domestically. The talking heads vary on their opinions on how this will affect the global gold market. Some claim it will bring massive shortages in the coming years as China acquires more tonnage in the coming decade. While others shake this off as nothing more than the Central Bank of China (CBOC) anomaly of shoring up its banking through its gold holdings. We think that both are correct to a varying degrees. Yet, we tend to cling to the middle ground that China both privately & through the CBOC will continue to add pressure to the price of Gold based on demand. Much like oil demand is greatly increased by the consumption of the growing Chinese industrial revolution. Gold will continue to see price pressure as demand ebbs and wanes in China. As no surprise to any, China is growing into a power-house economically that will continue to affect global markets, including Gold. Much like last summer when Gold rose and fell with every changing wind of the US Dept crisis, this winter Gold is clinging to every shift of the EU Debt crisis. 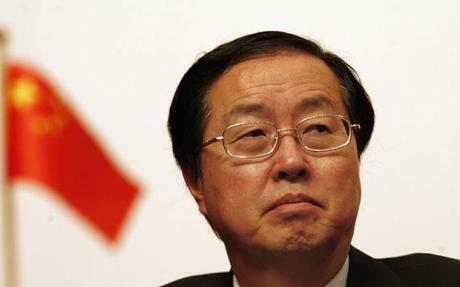 In a not so surprising move China’s central bank governor Zhou Xiaochuan said on Wednesday, The People’s Bank of China has always maintained close cooperation and contacts with the European Central Bank, and we support each other in many policy aspects. The PBOC firmly supports the ECB’s recent measures to address the difficulties. In other words, China will continue to buy up cheap European debt as a continuation of their move to become the worlds debt collector. China’s commitment boosted gold in early trading today pushing the yellow metal up 1%. Gold continues to trade in the $1,700’s and should continue to for the near future. This makes gold a buy as it nears the $1,715 price and hold closer to $1,775. 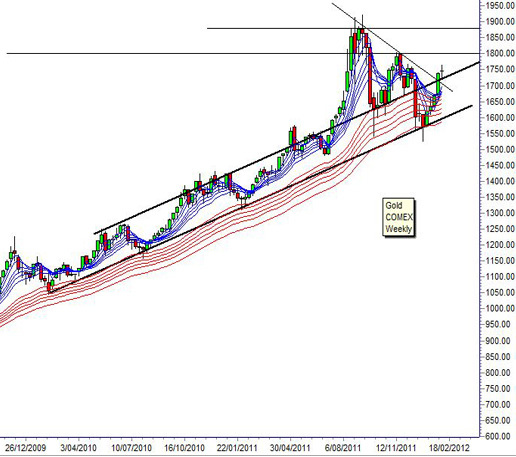 The next major move in gold should come once any details are released after the finalization of the EU Debt agreement. Still in the minds of most investors is the impending move by the Fed to start QE3 before the end of this election cycle. 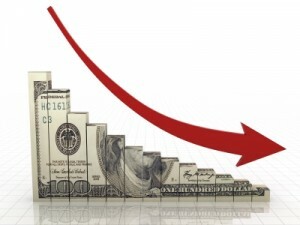 Over the last month Fed Chair Bernanke refused to rule out firing up the printing presses to fuel the downward trend of the Dollar. Bernanke may be getting nervous that the Dollar is strengthening too much during this current Euro crisis and will want to put on the brakes. All of this should send the price of gold higher in the coming months. Now would be a good time to start or reinvest in your tangible asset portfolio, making sure you are at a conservative 10% to aggressive 20% of your net investments. This will provide the financial insurance needed to weather the coming economic storms on the horizon. 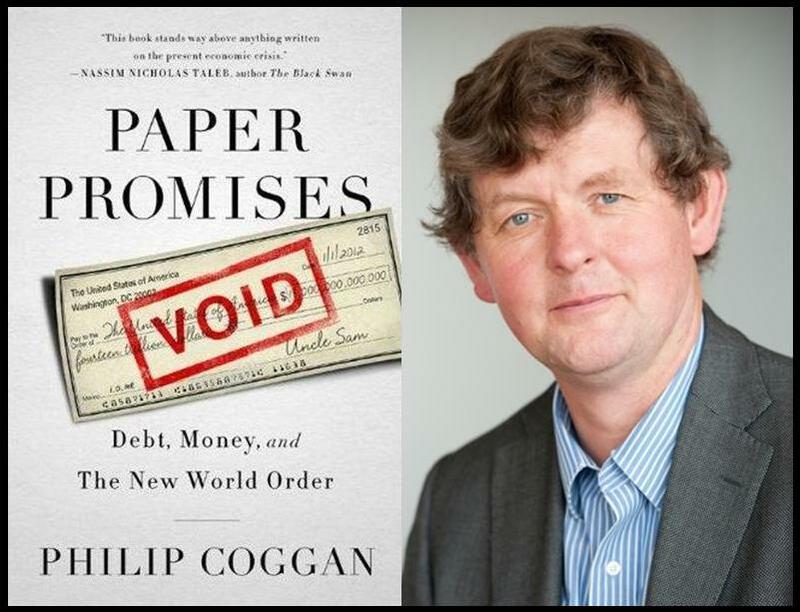 Philip Coggan a columnist for the Economist who has written extensively on hedge funds has taken an in-depth look at the fiat currency system we live in today. The idea for his current book, Paper Promises: Debt, Money, and the New World Order, came out of his research into the 2008 crash & the ensuing recession. Coggan discusses the history of debt and its relationship to paper money, now the trend towards electronic money. He is like a prophet in the wilderness using history, current trends & a bit of common sense to forecast the coming decade of impending financial collapse. We don’t often have video or audio links on this blog but both of these interviews are worth listening to. This is a warning that should be shouted from the mountain tops! You are currently browsing the Mind Your Money blog archives for February, 2012.